Dr. Lauren Sweeney is a native Floridian, born in Daytona Beach and has lived in Deland and Sorrento. Growing up in the Sunshine State, she enjoys everything from attending car and truck shows, to riding horses and enjoying the variety of music and entertainment in Central Florida. She grew up with animals in her family and has always had an undying love and interest for all species. 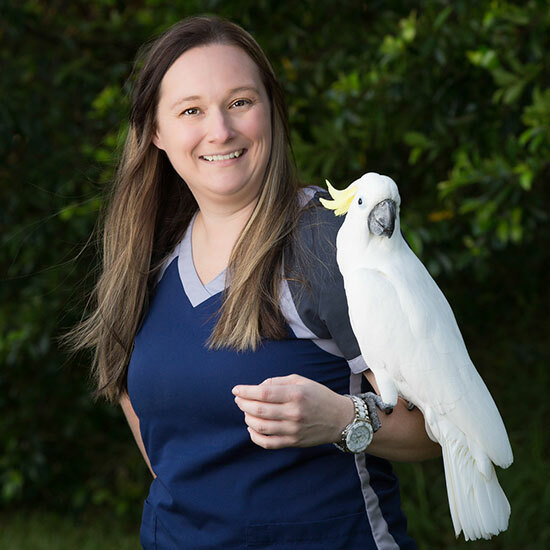 Pictured here with Dr. Sweeney, is Casper, her 35-year-old Crested Cockatoo, who has been in her family for about 30 years. Dr. Sweeney attended college at the University of South Florida in Tampa. She then moved to Woodbridge, New Jersey where she worked as a Kennel assistant and attended the Ross University of Veterinary Medicine. 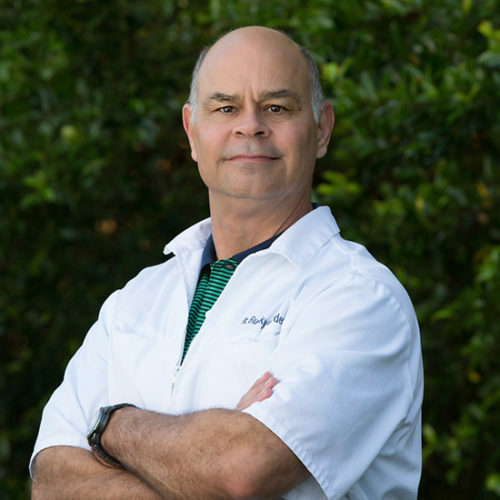 Dr. Sweeney brings over 3 years of experience to our practice. Her professional manner and caring presentation, along with her gentle and kind interaction with animals, puts clients at ease. She welcomes any challenge and sets the bar high for herself so that she can do what she enjoys most, provide sound medical care to our patients and up to date education to our clients.